The activities of the project aim to create a new methodology based on a relevant functioning of the knowledge triangle in the domain of ceramic material. The joint work of the partnership is seeking to create a common space where the interaction between research, education and innovation is optimised. To achieve these objectives the project implemented various activities closely connected and established “intellectual outputs” in order to help other institutions willing to implement similar activities. The outputs are now available. innovative ways of communication towards the general public and the high schools. Those actions leading to the creation of a new methodology based on a relevant functioning of the knowledge triangle in the domain of ceramic material. Implementation of a common Master programme in blended mobility : How to design or re-design teaching units for blended delivery? How to implement a common module in Master Degree? 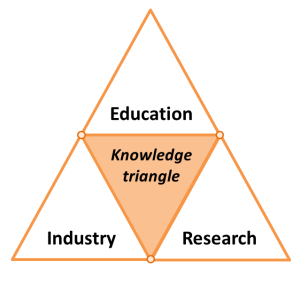 Strengthening of the knowledge triangle in the field of ceramic science: Creation of a dedicated Industrial Network gathering universities, research institute and companies across Europe; Elaboration of a chart giving the general terms and conditions of functioning of the network; Implementation of tutored projects of research for students organised between companies and universities. New roadmap of emerging industry requirements in ceramics science. During this meeting, the project’s outputs have been presented in detail. The contents of this meeting is of interest for universities, entreprises and research centres involved in ceramic activities as well as in other fields of science. Beside, relevant well known speakers in the field from across Europe have given talks and share good practices in their field of expertise. 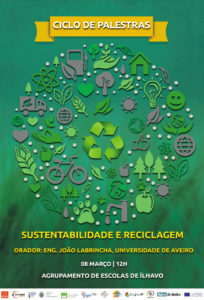 Under the auspices of EUCERMAT, and in conjunction with ENG4F, Agrupamento de Escolas de Ílhavo, Escola Profissional de Aveiro (EPA), and the University of Aveiro, Prof Doutor João Labrincha, DEMaC, Universidade de Aveiro will present a lecture on March 8 at Ílhavo Secondary School, under the theme of Sustainability an Recycling. This activity was targeted to students of the 5 to 9th grade of High School aiming to raise the awareness of high school students and lecturers of materials, ceramics materials and their current importance in a modern society. Under the auspices of EUCERMAT an ERASMUS + Project, and in conjunction with ENG4F, Agrupamento de Escolas de Ílhavo, Escola Profissional de Aveiro (EPA), and the University of Aveiro, a lecture was held on January 25 at Ílhavo Secondary School, under the theme of Nanotechnologies. Within this context Professor Paula Maria Silveirinha Vilarinho, from the University of Aveiro, presented a talk on Nanotechnologies. The approximately 80 students that attend to the talk, were introduced to concepts such as the manometer scale, how big is a manometer, materials properties at the nanoscale, what is expected to achieve with their use, such as clean, safe and low-cost energy; stronger and lighter materials; more effective medical devices and medicines; among others. It has also been shown that its use raises important issues in the health. There is now a great debate about the extent to which nanotechnologies will be beneficial or maleficent to health. In conclusion, it was said that Nanotechnologies have come to stay and are the new revolutionary force. 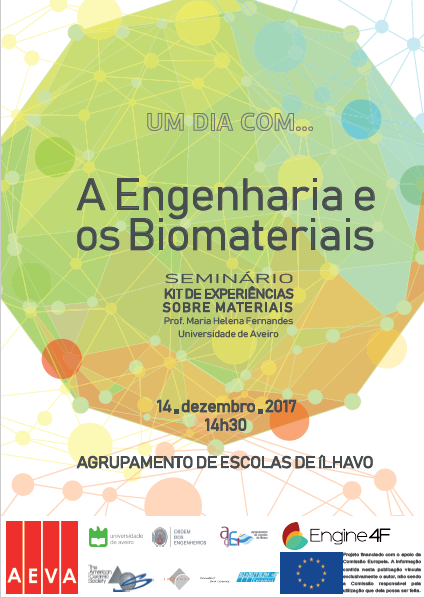 Under the auspices of EUCERMAT, and in conjunction with ENG4F, Agrupamento de Escolas de Ílhavo, Escola Profissional de Aveiro (EPA) and the University of Aveiro, a workshop was held on December 14 at Ílhavo Secondary School, under the theme of Engineering and Materials. The program included activities targeted to students of the 5 to 9th grade of High School aiming to raise the awareness of high school students and lecturers of materials, ceramics materials and their current importance in a modern society. Within this context Professor Maria Helena Fernandes, from the University of Aveiro, presented a talk on Biomaterials. 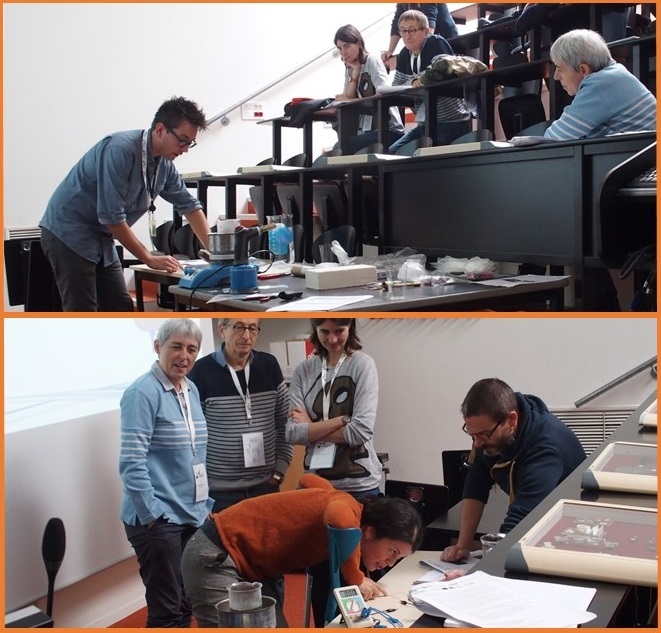 Following the talk and discussion on the topic, laboratory experiments related to the subject of materials using the “American Ceramic Society Materials Science Kit” were carried out. This working day raised the awareness to the world of engineering and its importance today, to promote a professional career in technology and engineering, and at the same time to attract more young people for these same areas. The French union of physics and chemistry professors (UDPPC), founded in 1960, aims at studying and improving the training conditions in sciences of physics and chemistry by gathering and then disseminating all the pedagogical data and processes in this field. The union is composed of several thousand members from the 28 French Academies and representing all the educational levels (high-schools professors, academics, researchers, etc.). The 65th congress took place in Limoges by 28-31 October 2017, during which the EUCERMAT project has been first presented during the plenary session of the meeting, with150 members attending. 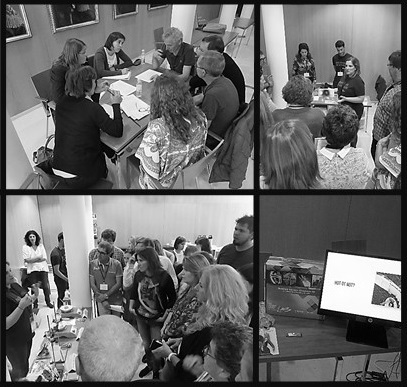 Then, 3 workshops of 1h30 were organized with small groups of less than 15 participants to present good practices able to raise the awareness of high-school students regarding the opportunities offered by the field of ceramics for applications and research. As every year the EUCERMAT Master programme has been launched by Integration Week organised in Limoges gathering together the students involved on the curricula. 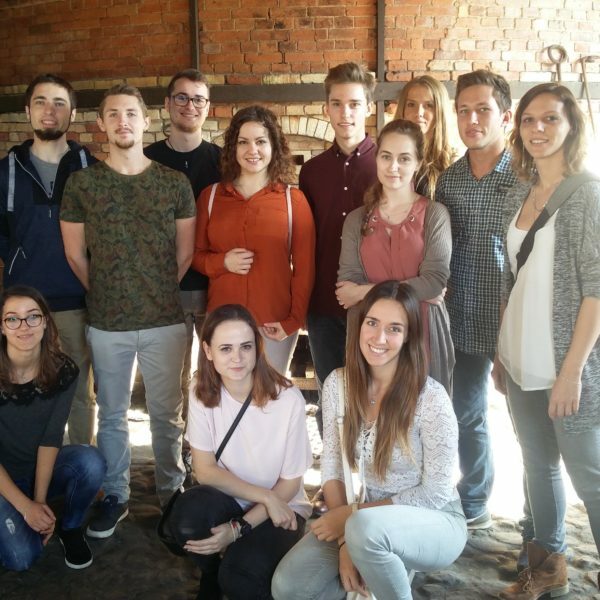 This week allowed the second cohort of EUCERMAT students to meet each other, but also to meet and to exchange with the industrials, teachers and researchers involved in the program. Main menu: general overview of the project (objective, expected results, target groups, etc. ), visits in the field of ceramic materials, introduction to the e-learning training, interviews with industrials in order to be selected for a Master thesis in a foreign company, etc. Define good practices on new modern ways of teaching in Europe via strongly correlated project between high-schools, universities and industries; and by innovative ways of communication towards the general public and schools. The workshop gathered fifty experts on the field of education (primary and secondary school teachers, academics, technological centers, guidance conselors, etc.). Within EUCERMAT five European universities and around fifteen industries work together offering a meaningful and unique learning experience for master students through high level international training courses in the field of the science of ceramic materials and processing. In 2016-2017, the EUCERMAT programme counts with thirteen top level master students currentkly taking part to the blended mobility, a mix between physical mobility abroad, and virtual mobility, thanks to on line courses. This modern way of teaching aims to strengthen the knowledge triangle (education, research and industry), training students to become researchers able to reach industrial innovation in accordance to the ceramic material market expectations. The year has been launched by the organization of an integration week held in November 2016 in Limoges. The whole week has been organized around the existing bridge between teachings, students and industries. The applications for the EUCERMAT programme 2017-2018 are closed. For further information click here. EUCERMAT is co-funded by the Erasmus + programme. Erasmus+ is the EU’s programme to support education, training, youth and sport in Europe. Its budget of €14.7 billion will provide opportunities for over 4 million Europeans to study, train gain experience, and volunteers abroad.